Quiet location, comfortable clean apartment with lovely swimming pool. The beaches were close and very nice. Torremilionos itself is a bit quiet. The view was great and if you wander round there are some lovely bars and restaurants off beaten track. The small problems that we had were dealt with efficiently from the hosts in Spain. One person in reception had good English and was very helpful. The location was great and very useful to have lift to get to beach. Also big pool. Ubicación perfecta, cerca de la estación de tren y con ascensor a la playa. Pequeña terraza con vistas al mar y con sombra a la hora de comer. 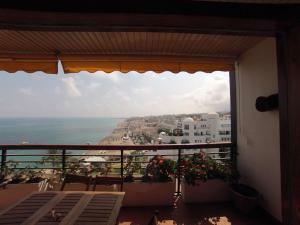 Locatie is ideaal, op loopafstand van het centrum en via de lift naar het strand. Me encantó la tranquilidad ,la habitacion con vista al merece la pena , buenas instalaciones y buena ubicación. 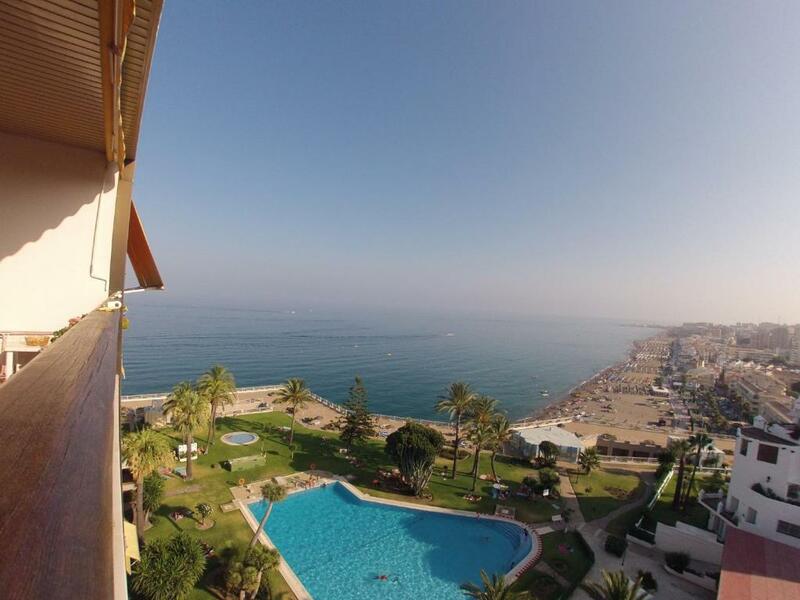 Lock in a great price for Living4Torremolinos – rated 8.2 by recent guests! 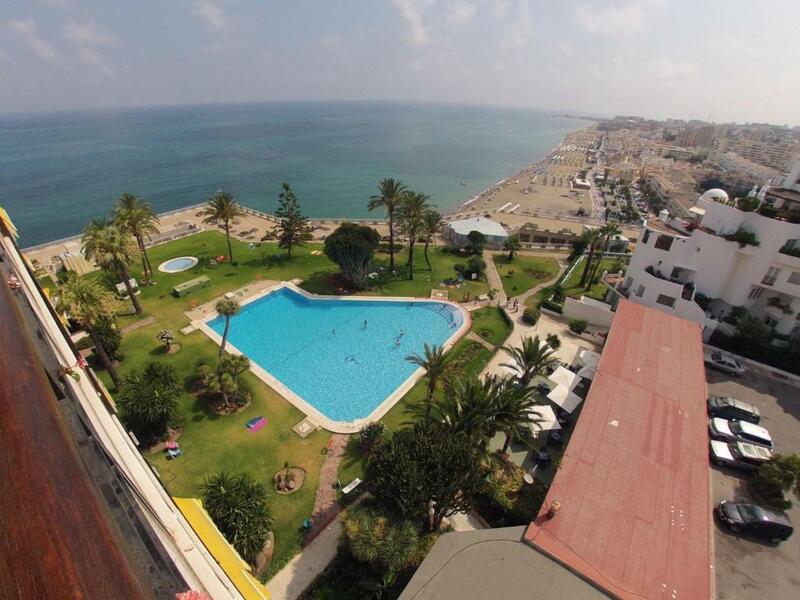 Set just 350 feet from Carihuela Beach, Livin4Torremolinos offers modern, air-conditioned apartments with private terraces and sea views. It features a garden and outdoor swimming pool. Bright studios and apartments come with cable TV, free Wi-Fi and a kitchenette equipped with a hob, toaster and coffee machine. There is free parking on site. In the summer months Livin4Torremolinos opens its restaurant-bar. In the surrounding streets there is a wide range of dining options and bars. Málaga Airport is a 10-minute drive away, while Málaga city center can be reached in 20 minutes’ drive. 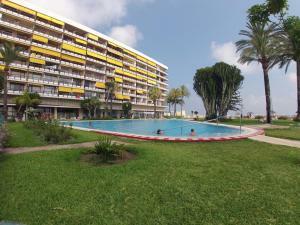 When would you like to stay at Living4Torremolinos? Modern, air-conditioned apartments come with private terraces and sea views. They includes satellite TV and a kitchenette equipped with a hob, oven and washing machine. 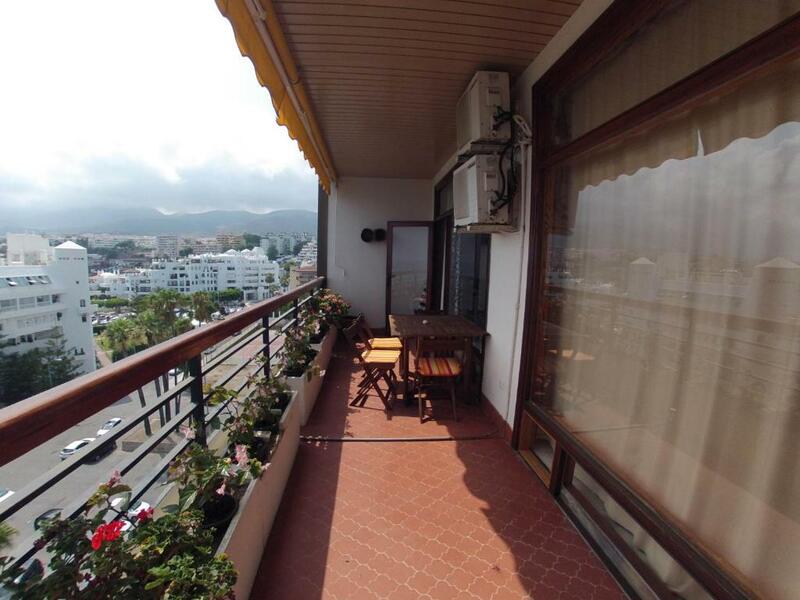 Modern, air-conditioned studios with private terraces and sea views. They include a TV and a kitchenette equipped with a hob, toaster and coffee machine. Featuring sea views and a private terrace, this studio is located in a building with a communal swimming pool and direct access to Carihuela Beach. House Rules Living4Torremolinos takes special requests – add in the next step! Living4Torremolinos accepts these cards and reserves the right to temporarily hold an amount prior to arrival. 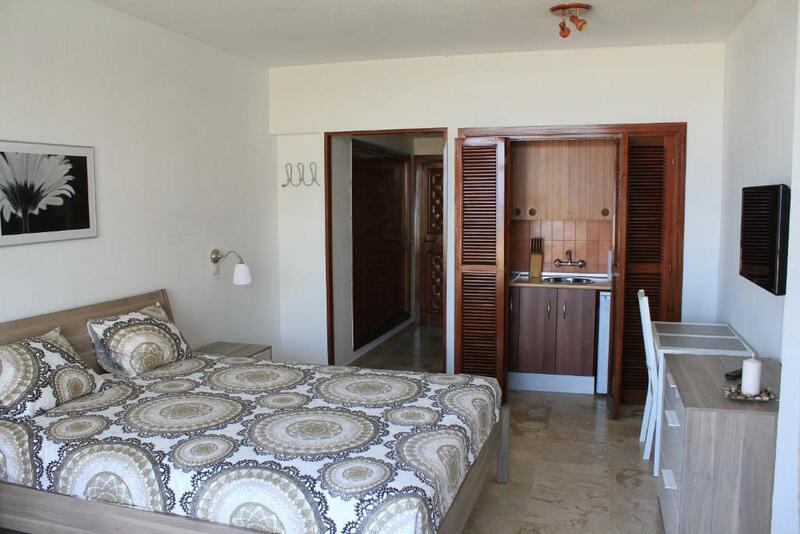 The apartments are located in different addresses close to La Carihuela Beach. A EUR 30 surcharge applies for check-in between 22:00 and 00:00. A EUR 45 surcharge applies for check-in between 00:00 and 01:00. Please inform Living4Torremolinos of your expected arrival time in advance. You can use the Special Requests box when booking, or contact the property directly using the contact details in your confirmation. 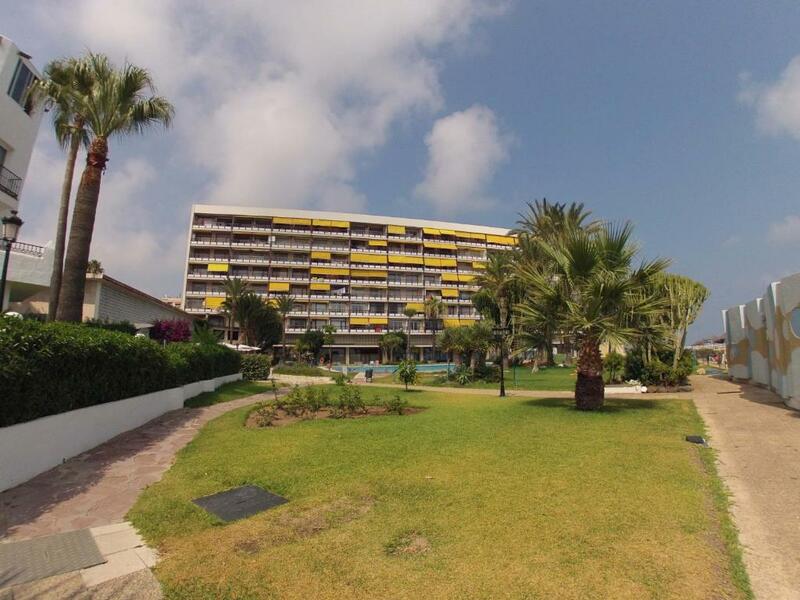 I had to contact living4torremolinos three times about a change of sheets and towels. Bagged up used linen and put in bathroom but had to wait 7 days until it was removed. Otherwise it was good. Bed a little soft but was comfortable. 1. Our towels or sheets were not changed for our 10 night stay. Nobody checked in with us at any stage to see did we need anything. 2. It was very expensive for what it was. 3. The "apartment" was a glorified hotel room. Kitchenette in the bedroom. 4. We got the hotel transfer which was very over priced. A taxi was far cheaper. 5. We could not get a late check out despite asking plenty of time in advance. 6. The pool was crap! 7. You can't print boarding tickets in the hotel. 8. No safe in the room. 9. You have to pay in cash which we found very strange! 10. The apartment block itself doesn't own the apartment? So the staff in the building can't help as much if needed. 11. You need a key card to get down to the beaches via the lift and we were not allowed to use it after check out despite our bags being left in the hotel. Overall we felt like we were ripped off a bit!! There were no instructions in the apartment regarding where to put rubbish, where to leave the key on check out, where the broom etc was, places to go and how to access the pool and what the pool times and rules are etc. We couldn't find the tickets for the pool and wouldn't have known what they were had we not asked people in the complex, many of whom were Spanish and didn't speak good English. The shower was blocked up and the hob not functioning well with saucepans given. Maintenance man came to help and all sorted that day. 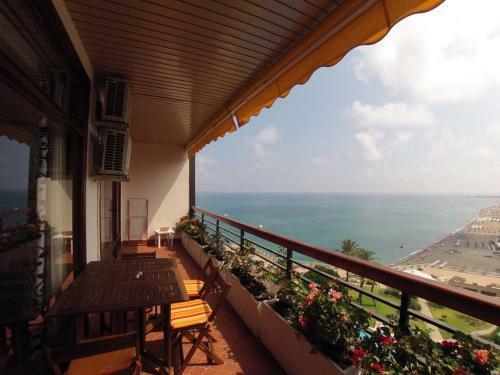 Location and the views of the beach.